Jonathan is regularly engaged by insurers, individuals, and industry to handle liability cases, contract disputes, subrogated losses, personal injury cases and complex coverage opinions. 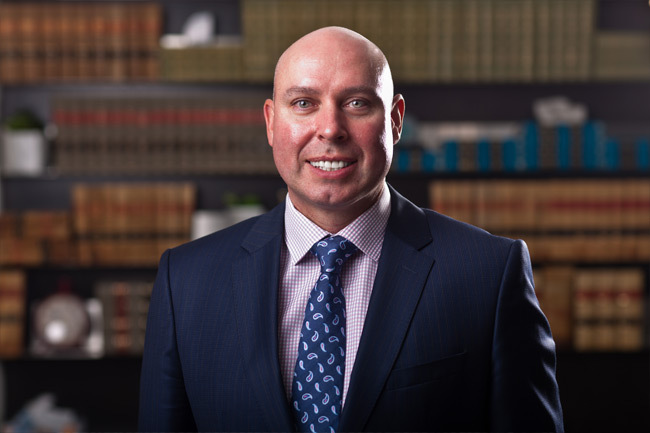 He has appeared at all levels of court in Alberta and the North and has represented clients before various administrative tribunals to address all forms of alternative dispute resolution, including judicial dispute resolution, mediation, and arbitration. 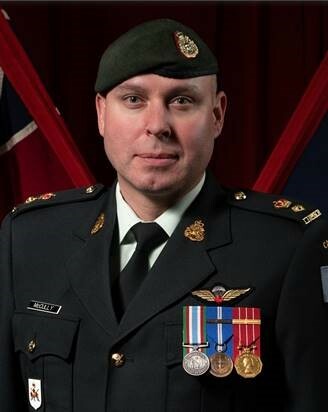 Outside of his legal practice, Jonathan serves the community through active participation in the Canadian Armed Forces Primary Reserves, where he holds the rank of Lieutenant-Colonel and is the Commanding Officer of the Loyal Edmonton Regiment. During his two decades of service, he has trained and developed reserve soldiers and has had the honour of serving abroad with our deployed forces. Heard March 19, 20, 21, 22, 23 and 26, 2018 [unreported]. Contract; alleged oral agreement; alleged debt arising under contractual assignments. Successful defence to alleged debts arising and due under improper assignments at law Judicature Act R.S.A. 2000 Chapter J-2. Successful debt recovery action by employer; enforcement of promissory note; Successful defence of alleged wrongful dismissal counterclaim by employee (ABQB 2018) 4 day trial- unreported. Successful presentation and Appeal regarding a complex security for costs application under the Business Corporations Act . Successfully represented the Condominium Corp. in a complex matter verifying that Boardwalk is not a "developer" under the Condominium Protection Act or the Bylaws, and that Boardwalk comply with the Act and Bylaws as an "owner" under those enactments. Successfully represented the employer, Syncrude Canada Ltd., in a complex subrogation matter verifying employer's claim for loss of services of an employee involved in a serious motor vehicle accident. Successfully represented the employer, Syncrude Canada Ltd., in a complex subrogation matter verifying employer's claim for loss of services of the employee involved in a serious motor vehicle accident. Successful argument that TMJ/TMD injuries were resultant to, or arising from motor vehicle accident. Successfully contradicted University of Alberta medical expert on point. Successful trial defence of Municipal Corporation/Town arising from a dispute with respect to a Development Agreement, development approval, subdivision approval, waiver of provisions in contract, and interference. Claim dismissed by Court of Queen's Bench. Successful defence of the Town of Vermillion/Municipality with respect to an alleged contract claim brought by an ambulance services contractor. Contract framed in part on written materials and verbal representations. Claim dismissed by Court of Queen's Bench. Successful defence of the Town of Lamont in action brought by the developer for partial Summary Judgment and return of security deposit relative to the development of lands and associated improvements. Successful defence of Syncrude Canada Ltd. Claim brought by Plaintiff Corporation framed in the contract and reviewed in light of oral representations, waiver, and estoppel. Plaintiff's claim dismissed in its entirety. Successful defence of the Town of Valleyview (employer) in Court of Queen's Bench trial and Court of Appeal in the claim brought by former CAO for wrongful dismissal. Jonathan McCully, Lieutenant-Colonel and Commanding Officer of the Loyal Edmonton Regiment.